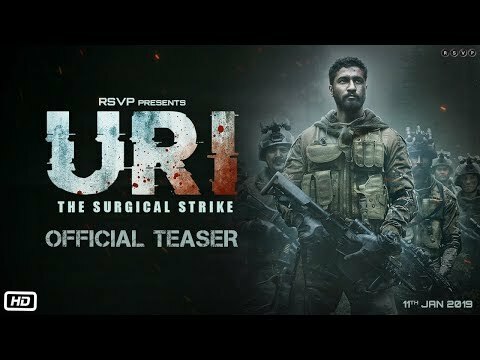 The name of the film tells you what’s it about — the surgical strike that our soldiers carried out on September 29, 2016. This was in retaliation to an attack on an Indian Army brigade headquarters by four heavily-armed militants on September 18 the same year. The war-drama begins with an ambush by Naga extremists on an Indian Army infantry in Chandel district of Manipur on June 4, 2015. Para SF military Major Vihaan Singh Shergill (Vicky Kaushal) leads the operation. Later, he expresses the wish to retire early to look after his mother. Instead, he is offered a desk job, which he agrees to take up. 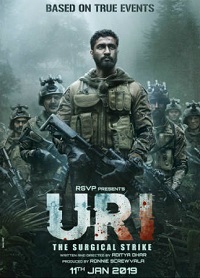 The Uri attack leads him asking to be sent on the battlefield yet again. His preparation and the surgical strike forms the crux of the film. The surgical strike was the first-of-its-kind operation carried out by the Indian Army. So, a film showcasing that is bound to emphasise on patriotism and bravery. That very attempt is made here, too. Vicky Kaushal proves that he can pump up your adrenaline with his words with as much ease as he can evoke your feelings without saying anything. Watch out for him in the scene where a ceremony is being held to honour the martyrs. The ever-reliable Paresh Rawal stands out, too. The cinematography is extraordinary as is the VFX. But for any war movie, it’s the emotion of patriotism, which it invokes, that matters the most. One needs to give credit to Aditya Dhar, who divides the narrative in four chapters leading to the finale, for not heading into the overtly-jingoistic zone. Yes, there are a few dialogues in that vein, but they stand justified given the situation they are set in. A few things stick out, like Vicky getting into hand-to-hand combat with a terrorist. Then there’s the presence of women, which seems more of an attempt to be inclusive than to give them something substantial or of gravitas to do. While Yami Gautam’s role doesn’t have much scope, Kirti Kulhari as Indian Air Force pilot Jaskeerat, too, has precious little to do. Mohit Raina, who makes his big screen debut, looks great and is effective in the limited time that he has on screen. The film also doesn’t give you a deeper insight than what has already been reported in the media about the covert operation, thereby making it an underwhelming watch. The director fails to create the sort of emotional build-up that’s required for a war-drama. Therefore, your answer to ‘How’s the josh?’ isn’t a resounding ‘High’ even during the climax of the movie.